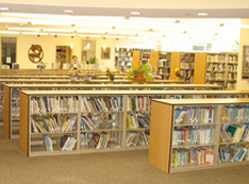 The Adult Education committee of the Miriam Browning Jewish Learning Center provides adult education on Jewish topics to stimulate, invigorate, and enrich our Jewish experience and understanding. Many classes, events and programs are offered throughout the year on a wide variety of topics and are taught by our clergy, Director of Lifelong Learning, and expert Scholars-in-Residence. If you have any ideas or would like to volunteer to help create future adult programming, please contact Ed Septimus. Friends of Margolis Gallery provides enrichment to Congregation Beth Israel and to the entire community through high quality art exhibitions, educational programs, and distinguished art acquisitions which enhance our building and enrich our lives. We also offer musical programs and special art tours and trips. For more information, or if you are interested in volunteering, please contact Shirley Lavine. Brotherhood is the organization of Beth Israel men that supports the congregation and the larger Jewish Community through its many activities. These include providing ushers for all of our religious services, sponsoring Boy Scout Troop 806 and Cub Scout Pack 806, providing Kiddush Cups for our B’nai Mitzvah, Confirmand Awards, Blood Drives, Annual Plant Sale, Annual JCC Book Fair, the Jewish Chautauqua Society, and much more. Volunteers are always welcomed and needed! For more information, please contact our co-president, Jeff Friedman. Our committee evaluates and advises the Temple and Beth Israel Board of Directors on technical questions involving the building, grounds and maintenance issues. If you have expertise you wish to volunteer, please contact chair Mike Coplon. The Caring Committee oversees all of the subcommittees dedicated to meeting the emotional and special needs of our congregants, especially in relation to illness, bereavement, personal relationships and major life changes. Check out each of these wonderful caring committees and see which one fits your needs or could benefit from your volunteer contributions. For more information on any of the following committees or programs, contact Caring Committee chairs: Ferne Winograd, (713) 723-1372, or Hope Lipnick, (713) 771-9107. Second Family Care Team – Maxine Lapin, (713) 888-0098; Rochelle Oster, (713) 952-9665. The Gathering Place – (for seniors living with Alzheimer’s) Rabbi Adrienne Scott, (713) 771-6221 x329. Hospital Visitation Committee – Karen Abramson, (713) 923-0834. Cancer Support Group – for those who are survivors, who have recently been diagnosed or are living with the day to day challenges of this disease. For information, please contact Rabbi Scott, (713) 771-6221 x329. Our Cemetery Committee oversees the administration of our two cemeteries at 1207 W. Dallas and 1101 Antoine. This includes handling plot sales and providing burial information and resources for our members. For more information contact Kathy Parven, (713) 771-6221 ext. 310, or one of our two Cemetery committee co-chairs Richard Kaplan or Ronnie Ladin. Our committee finds ways to keep our college students connected and up-to-date with what’s happening at home at Beth Israel. At appropriate times during the year, students receive specialcare packages. In addition to care packages we also plan special social and mentoring events. Got a college student? We could use your help. For more information or to volunteer, contact Rabbi Scott, (713) 771-6221. The Communications and Public Relations Committee works to enhance all types of Temple communications to increase the awareness and visibility of its programs, people, and leadership within the congregation, the media, and the wider Houston community. It does this by using Beth Israel’s Website, the monthly Bulletin, letters, printed materials, messages, and news releases directed to our members as well as the local media. For more information, please contact Dani Gardner, Programming and Marketing Coordinator, at (713) 771-6221 ext. 483, or Committee Chair Deborah Buks. This committee focuses on developing clear and consistent guidelines, policies, and fees for the use of our facility by congregants, and finding ways to encourage members to use the facilities as an extension of their own homes for their families’ life cycle events. For more information, contact committee chair Sheila Horn. This committee is dedicated to establishing a fair share dues system that meets the financial needs of the congregation and accommodates the needs of Beth Israel members. For more information, feel free to contact one of our co-chairs, Michael Rubenstein and Irving Stern. The Inclusion Committee meets regularly to discuss ways in which the congregation can be more inclusive to all members including those with physical challenges, special needs, LGBTQI members, and other areas of inclusiveness. It also oversees the WAYS (“With all Your Soul”) program that helps members in various transitional stages in their lives including bereavement support, empty nesters, divorce support, and other areas. The committee has also worked on ways to enhance our new Sanctuary to be more accommodating to those with physical and sensory challenges. The committee will continue to implement strategies to be more inclusive in all of our programming and services throughout the campus. Congregation Beth Israel has an active Israel Advocacy Committee that promotes Israel education throughout our congregation. Follow this link to our Israel Advocacy Committe page which contains links to various sites promoting Israel. The Leadership Development Committee facilitates the development of future leaders of our Congregation. The Committee invites groups of members who are interested in becoming more engaged in Congregational activities and assuming leadership responsibilities in Beth Israel to participate in a series of sessions designed to educate the participants about our rich history, our current structure and our future challenges and opportunities. For more information, please contact committee chairpersons Leah Gross or Stan Levy. The Leisure Club is for active seniors aged 60 and older to come together for friendship, fun and dynamic activities. Monthly events are planned around luncheons and entertainment. Several times a year members take off for special excursions like gambling in Lake Charles or boating around Lake Conroe. Previous trips took the group to Washington, D.C., to the U.S. Holocaust Museum, another headed to Branson, Missouri, for some fun and great music. Got some great ideas? Join the Leisure Club. The Leisure Club is open to members and non-members alike, but you better be at least 60! For more information, contact Rabbi Adrienne Scott. The Library Committee serves to enhance the collections of the Hyman Judah Schachtel collection and to encourage awareness and usage of the facility. The committee oversees library and archives policies, and supports the monthly Readers’ Group program, which frequently invites authors to discuss their works in live telephone interviews. For more information, please contact our chairperson, Janet Frost. The Membership Committee and its subcommittees are charged with handling all aspects of Temple membership – from recruiting and integration of new members to retention of current members. The Membership Recruitment Committee establishes programs to reach out to unaffiliated members of the community, including interfaith couples, to encourage membership in the Congregation Beth Israel family. The committee talks to all applicants as their applications are processed for approval. If you know someone searching for a Temple home or would like to volunteer or actively serve on the committee, please contact Sara Kaiser. The Membership Integration Committee is devoted to welcoming all new members to Beth Israel as soon as they are approved for membership. Activities are created throughout the year to help new members integrate into our synagogue’s life. If you enjoy working with and meeting new people and getting to know your members at Beth Israel, this is the committee for you. For more information, contact Sara Kaiser. The Membership Retention Committee develops programs that recognize and appreciate existing congregants. These programs include Volunteer Shabbat, Heritage Shabbat (lifelong members), Birthday and Anniversary recognition and meetings with the Clergy. The committee encourages members to become active participants in their Beth Israel family. If you wish to host a meeting with the clergy or participate in other activities of this committee, please contact Sara Kaiser. The Beth Israel Outreach/Interfaith Committee serves to welcome all who are interested in learning more about Judaism, whether they were born Jewish, are considering conversion to Judaism, or are raising Jewish children. The committee supports participants in our Basic Judaism classes in many ways including organizing special workshops and programs throughout the year on topics such as how to handle the holidays, navigating Interfaith relationships, and the challenges faced by Interfaith couples and families. Volunteers are always welcome! For more information, please contact the committee chairpersons Pat and Michael Farnell. Our MBJLC programs are designed to nurture a strong Jewish identity and sense of commitment to Judaism within our students and families through a variety of fun and stimulating learning and social activities. There are many ways to get involved from helping with a family learning day, to organizing and chaperoning a class activity or trip, or volunteer to serve on our MBJLC Board which assists our staff in creating a safe, meaningful and fun religious educational experience for our children. If you’d like to volunteer, contact the Miriam Browning Jewish Learning Center at (713) 271-7369. Miriam Browning Jewish Learning Center Chair: Nancy Bostic. The Security Committee works closely with Beth Israel’s & Shlenker School’s Board of Directors to address security issues across the Beth Israel campus. They advise and supervise in all matters relating to the security of the synagogue, school building and its membership. For more information, please contact committee chairpersons Matt Schaffer, or Will Burdine. 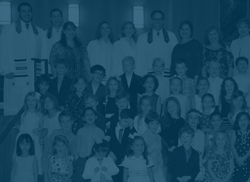 The Shlenker School, the first Reform Jewish Day School in Texas, offers an academically excellent program, integrating secular and Judaic studies, for children aged 15 months through the fifth grade. The Shlenker Board of Trustees is the governing body that oversees the financial well being and stability for future generations of Shlenker students. Trustees may be parents or members of the greater community. For more information, contact The Shlenker School, (713) 270-6127. Shlenker Board President: Susan Heyl. Our mission is to enhance and support Congregation Beth Israel through special programming, fundraising, as well as offering temple women the opportunity to establish new friendships and a sense of community within our congregation. We provide opportunities to celebrate and learn about Judaism, social justice and women’s issues while encouraging an overall spiritual and individual growth. Join us and make Sisterhood your home for lifelong connections. We can be reached in the Gift Shop at 713-777-4315 or at sisterhood@beth-israel.org. In addition to these ongoing efforts, the Social Justice Committee organizes a variety of other volunteer opportunities. More information can be found in the bulletin, the weekly E-news, and the Friday Night Guide distributed each week at Shabbat services. For more information on these efforts, to joint the committee, or to express interest in volunteering, please contact either Debbie Greenbaum, chair of the Social Justice Committee, or Rabbi Josh Herman. Beth Israel’s Technology Committee advises the Senior Staff and Board of Trustees on matters of technology and information management and offers technical advice on a range of technology directions, strategies, policies, plans, priorities and needs of the temple. We also review both current and proposed projects for systems, infrastructure, and procedures and bring emerging technology issues to the attention of the Beth Israel Board. Our new Temple website is an important focus of the Committee and we are always interested in having new committee members join us. Got some great ideas? Web design or experience? Have a few hours a week to keep the website updated? We can use your help. New volunteers do not need to be experts in the understanding or implementation of technology. If you’re interested, please contact one of us. Committee Co-chairs: Carl Herman, Larry Margolis. This committee, under the guidance of Rabbi Lyon and Cantor Trompeter, reviews all worship services to ensure that the setting and substance of each service enhances the experience for as many of our congregants as possible. The Committee continuously reviews and analyzes topics such as music, our physical worship setting, structure of our services, and the Oneg Shabbat. The Committee invites and appreciates feedback concerning these or any other related topics at: CBIWorshipCommittee@hotmail.com. E-mail responses are shared anonymously among the Committee and remain topics of ongoing discussion and analysis. For more information, please check our Worship section on our web or contact committee chair, Larry Proler or co-chair Joel Winograd. The Youth Committee of Congregation Beth Israel encourages youth and family involvement at all levels of congregational life. We facilitate creative and consistent programs, which engage our youth in developing a sense of Jewish identity, building strong relationships, and putting Jewish values into action. We believe that spiritually and socially engaged youth contribute to the greater goal of creating a dynamic and thriving Temple community. If you are interested in the Youth Committee, or volunteering to help with any specific programs, please contact the chair Mark Levine.